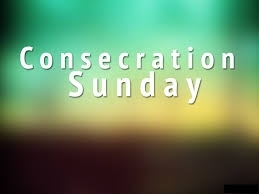 Sunday October 23rd is Consecration Sunday. Our Stewardship Committee has been preparing for this. Please join us as we count our blessings and commit to giving back some of our time, talents, and possessions to the Lord's work.